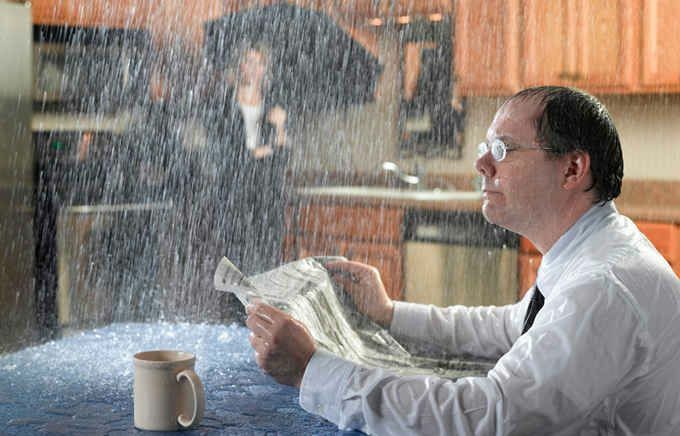 When wet weather strikes many homeowners are taken completely by surprise when they discover their roof is leaking, or worse, severe roof damage exists that went previously unnoticed - until it's too late. This week's post offers some insight into some of the reasons roofs leak in the first place, and what you can do to prevent them in the future when it's time for that new roof to be installed. The passage of time will claim any roof, whether it’s flat, peaked, or covered in turrets. This means that the most important thing you can do is to have it regularly inspected so that worn pieces can be replaced and cracks can be fixed. Rubber tends to offer the longest-lasting solution, however fiberglass has a lengthy life expectancy as well as a good looking appearance. Felt is the cheapest way to go and will not last as long as roofs made from other materials. No brainer, right? You don;t maintain something and it’s bound to deteriorate more quickly than it needs to. No one can buy a roof, no matter how good it is, and let it sit there without any kind of regular maintenance. Roof should be inspected at least once a year. Cracked housing on plastic roof vents and broken seams on metal roof vents can often cause water to enter your home. Most ‘quick fixes’, such as using caulk, won’t last very long o it best to have them replaced to avoid further damage.